On May 8, 2014, members of AARP’s National Policy Council visited White Oak Cottages. The National Policy Council is comprised of 25 members, who serve as a policy analysis and advisory body to AARP’s Board of Directors. Its members are from all geographic areas of the country, and focus on community issues, health, long term services, and economic issues. 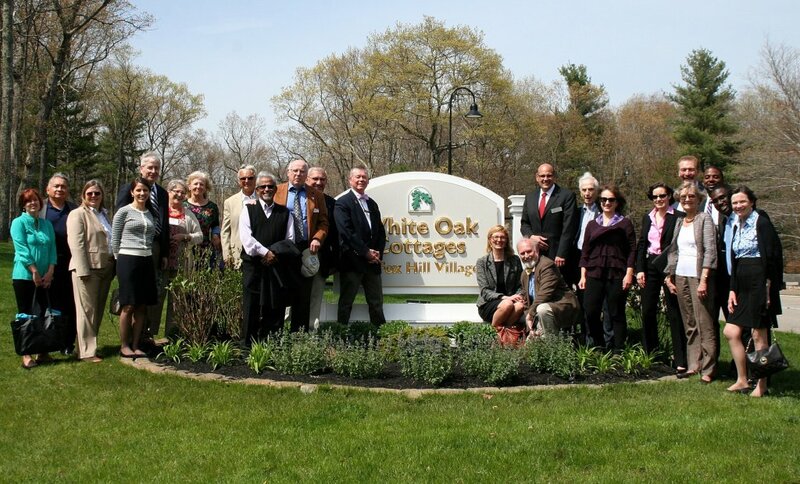 The Council visited White Oak Cottages as part of its focus on person-centered care. Its members toured the cottages, meeting with residents and talking with staff about their work and how their roles at the cottages differ from their roles in traditional settings. One key difference discussed was White Oak Cottages’ use of universal workers—aides who also cook the meals, do light housekeeping, and engage with the residents throughout the day. Their presence makes it possible for the residents to set their own schedule as to when they wake and when they go to sleep, teaches the staff what foods and activities the residents most enjoy, and it allows the cottage to plan outings and activities that require some adjustment to the usual schedule. All these aspects allow residents to continue to control essential aspects of their daily living. White Oak welcomed the chance to meet with the National Council and to show its members its model of person-centered care.